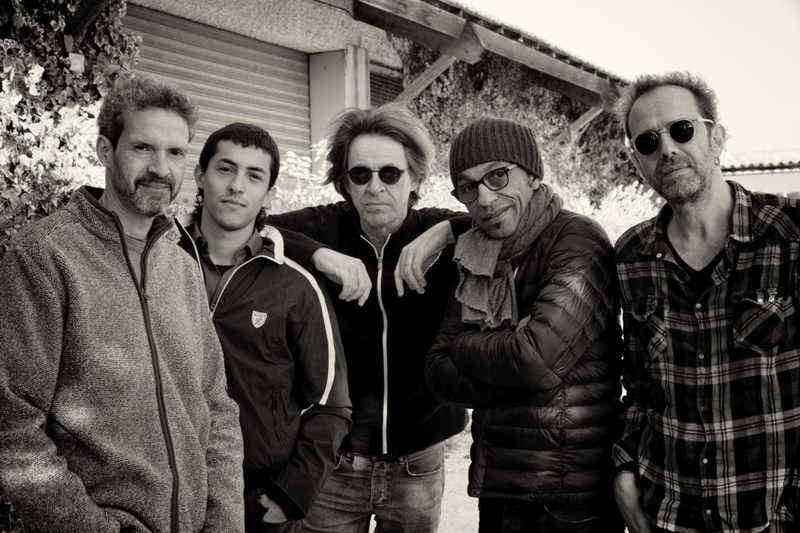 Dominic Miller and his Quintet © Copyright 2019 Rutis Music Ltd.
His talent is huge but it never brought him to mainstream success. That said, Dominic Miller is one of the most brilliant guitarists of his generation. Guitar aficionados certainly know him from his work with Sting, among other collaborations. Born in Argentina in 1960 of an American father and an Irish mother, Dominic Miller grew up in the US and lived in the UK as a student. Throughout his career, he has collaborated with many stars, including Paul Simon, the Chieftains, Rod Stewart, Bryan Adams, Phil Collins, Sheryl Crow, Peter Gabriel and Plácido Domingo. His debut album Silent Light, was released in 2017 on the ECM label. For this evocative and refined record Miller was solo on the guitar with the only support of Miles Bould’s elegant percussion. Two years later, with Absinthe, he teamed up with Santiago Arias on the bandoneon, Mike Lindup on keys, Nicolas Fiszman on bass and Manu Katché on drums. “The first thing that came to me, even before any songs on the record, was the album title. I live in the South of France and I am fascinated with impressionism. I enjoy the grazing and enchanting lights that the wind creates and I understand how their combination with high alcohol led many of impressionism’s representatives to madness. Hence its green skies, its blue faces and its distorted perspectives”. Along with his quintet, Dominic Miller never tries to recreate with music and sound the paintings of Renoir, Cézanne, Monet or Manet. Rather, what he does is to develop an intense yet soft lyricism. His nylon and steel strings guitars intertwined with Arias’ bandoneon reach a transcendent space. This alluring album is both original and captivating.